It’s that time again! Today I have a few polishes releasing for Hella Handmade creations for the month of September! These are amazing you guys! 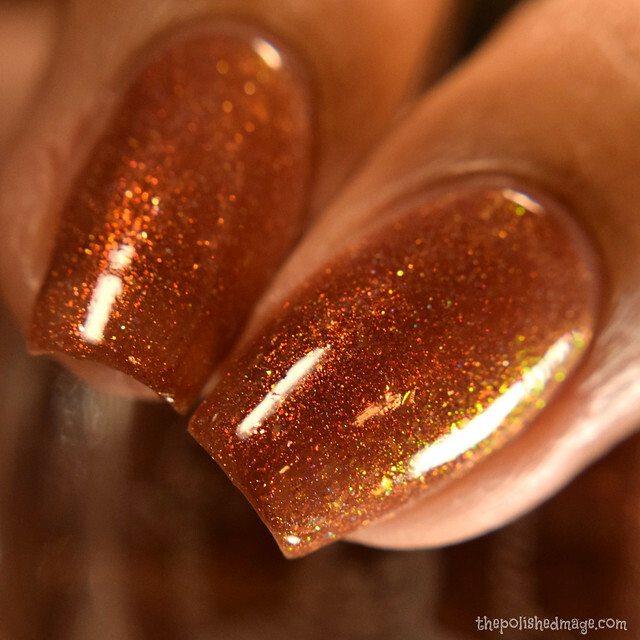 I have Blush, Heather’s Hues and Supernatural Lacquer to share! Let’s get to it! Official description: a whimsical rosy pink linear holo with small red holo glitters and varying sizes of iridescent shifting blue-purple-pink and yellow-orange-green glitters. This is the first in a series of Pink Panther polishes for Blush’s HHC series! Swatches show three coats with topcoat. This is such a lovely pink! 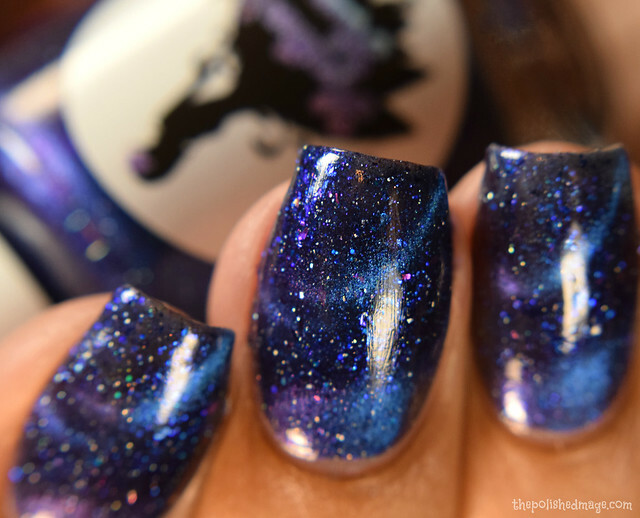 It’s very holo and those glitters twinkle in just about every color in the rainbow. Formula is on the light side, but I feel like it’s necessary given just how holographic this beauty is. I had no texture from the glitters after topcoat, and they came up with the brush perfectly too. Swatches show two coats with the magnet applied on the second coat. I went very thin on my first coat and then heavy handed on my second coat so that I could get very sharp lines after the magnet. I had no slipping of the design after topcoating (I do wait several minutes after applying the magnet) and there is secondary lines of purple against the blue line. The flakes in this one make me think of a starry sky. There’s no texture after topcoat either. 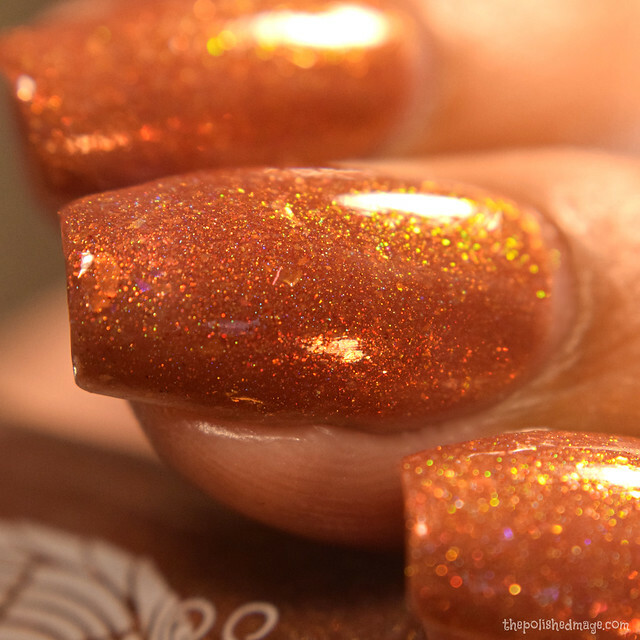 Description: a burnt/muted orange base with red to green aurora shift, a mixture of warm toned color shift and metallic micro flakes, gold and red metallic micro glitter and scattered holo. Swatches show three coats with topcoat. Formula has a medium/light feel but builds easily. There’s a lot going on here in the best way! 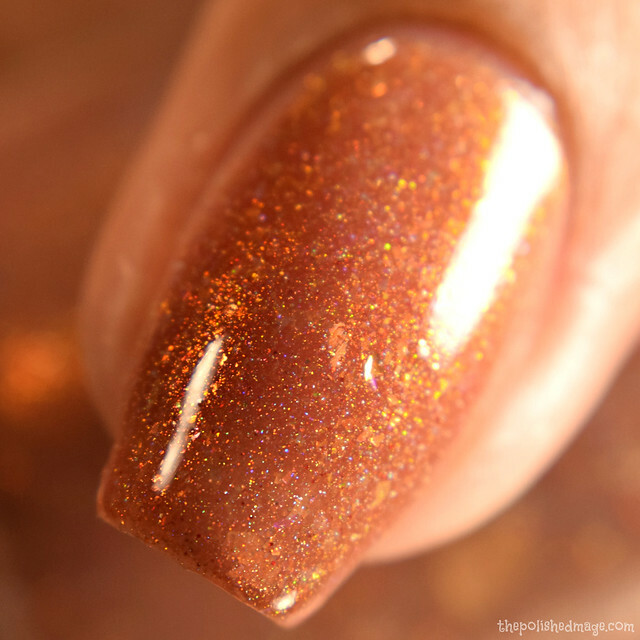 The shimmer is very strong in person and gives a strong inner glow. It’ll shift to a very bright gold and green on tilt, while retained a rich red in bright lighting. The flakes laid down flat for me, and I had no texture after topcoat. This does dry down matte, so I’d personally recommend a glossy topcoat to make the shimmers pop. These polishes and more will be available starting September 14- September 21 on a pre-order basis with shipping starting around 3-4 weeks. Be sure to check out the Facebook group too!